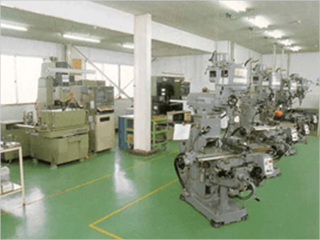 Miyamoto's original production lines (production facilities developed in-house) provide competitive proposals. We perform optimal MONOZUKURI (manufacturing) from a development stage through collaboration between product design and production engineering. High production efficiency and high quality are achieved by developing our own production facilities. We implement a range of improvement activities in order to reinforce our production capacity, reduce costs and ensure high level of quality. Plastic molding molds are designed, produced and maintained in-house, so that we can immediately respond to issues at the work site to achieve cost reduction and high quality. - developing inspection machines to prevent the outflow of defective products. By developing facilities suitable for us through designing, processing, assembling and controlling facilities with good use of past problems, process FMEA, CAD/CAM and others, we can meet customer expectations for cost and quality.